“How do I know for real if God exists?” “How does a person come to believe in God?” “What if I still continue to have doubts?” These are just a few of the questions we all have asked ourselves at one time or another. The problem today is that society itself no longer supports a positive concrete answer to these concerns. In reply, this book takes the unique approach of finding answers – and ultimately God – through a variety of creative approaches: e.g., a visit to Las Vegas with the French philosopher and mathematician, Blaise Pascal, examining the empty tomb of Jesus with St. Peter and Mary of Magdala, standing on the shores of Lake Galilee with Jesus himself, and journeying the yellow brick road to meet the Wizard. 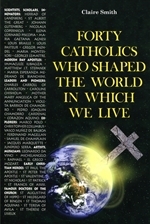 In addition, the author has make very creative use of some cornerstone insights from St. Thomas Aquinas, Plato, St. Anselm and others in the areas of theology and philosophy to assist the reader in finding answers, from a Roman Catholic perspective, to the above and many other questions regarding the faith. In a relaxed and practical approach, the author addresses anyone and everyone from ages 18 through 80 who is looking to strengthen his or her faith and personal relationship with God. As such this work recommends itself for use as a classroom text, retreat resource, or simply for personal spiritual growth. About the Author: Alexander (Alex) J. Basile, Jr., presently a member of the faculty at Kellenberg Memorial High School in Uniondale, New York and chairperson of its Religious Education Department, oversees a staff of 23 teachers. It is his responsibility to develop and revise the curriculum according to the actual and perceived needs of the students. A graduate of St. John’s University in Queens, New York (class of 1984), he received his Masters Degree from Fordham University in the Bronx, New York in 2004. Twenty-five years of classroom experience with young people have eminently prepared him for dealing with the answers to the questions addressed in this book along with others most often posed by his very astute students.